Merrimack News: Time to reconsider the value of cruise tourism? / ¿Es hora de reconsiderar el valor del turismo de cruceros? Time to reconsider the value of cruise tourism? / ¿Es hora de reconsiderar el valor del turismo de cruceros? At the end of November, the Cuban government hosted an unusual meeting. Then, the Presidents of nine of the world’s leading cruise companies, plus significant figures from three others, met with Cuban ministers and senior officials in Havana. The meeting was in part to discuss how the cruise lines might respond to Washington’s new restrictions on individual travel to Cuba by US citizens. ¿Es hora de reconsiderar el valor del turismo de cruceros? A fines de noviembre, el gobierno cubano organizó una reunión inusual. Luego, los presidentes de nueve de las principales compañías de cruceros del mundo, además de cifras significativas de otros tres, se reunieron con ministros cubanos y altos funcionarios en La Habana. La reunión fue en parte para discutir cómo las líneas de cruceros podrían responder a las nuevas restricciones de Washington sobre viajes individuales a Cuba por ciudadanos estadounidenses. 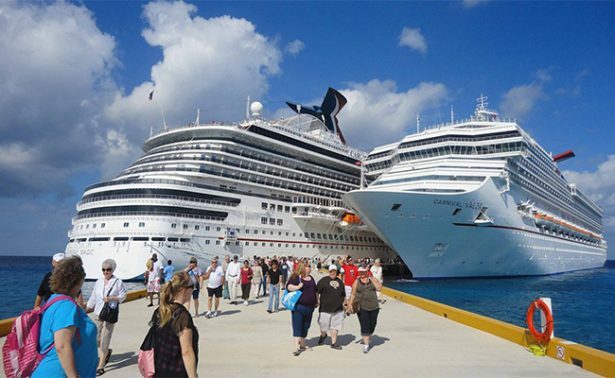 Other conversations centred on the expansion of cruise operations around Cuba, the country’s plans to develop port infrastructure and facilities around the island, the US government’s new administrative requirements for shore visits, and Cuban interest in the possibility of home porting. The encounter was a pragmatic response to the legal uncertainties created for the average US traveller to Cuba, who perhaps understandably, may now prefer to stay in a US environment on board a ship while undertaking permitted shore visits. It also reflected the fact that Cuba, the region’s largest island, is strategically placed at the cruising gateway to the Caribbean, is near the US, and according to at least one cruise line CEO, has become the most highly valued destination in the Caribbean. As such, the meeting was indicative of the cruise lines’ unique ability to adapt rapidly to changing political, economic, commercial and environmental conditions in ways not open to land based tourism. By any standards cruising the Caribbean has become big business. Figures suggest that the Caribbean is the world’s leading cruise destination, accounting for 35.5 per cent of all cruise vacations. According to the Caribbean Tourism Organisation (CTO), in 2015 the Caribbean received 28.7m stayover tourists and 24.4m cruise passengers generating in total onshore visitor spend of about US$30bn. Of this, around US$2.4bn came from cruise passengers while US$ 27.6bn – 11.5 times more – was spent by stay-over visitors. Put another way, although arrival numbers for cruise and stay-over visitors are roughly equal, the gap between what Caribbean nations earn from cruise and stayover visitors remains substantial. Despite this, such concern has largely been removed from public debate. The reason for this is partly historic. In 1993 the late Michael Manley, after having demitted office, counselled Caribbean governments to establish a single region-wide ‘head tax’ for all arriving cruise ship passengers. Although agreement was reached, cruise line lobbying, vocally supported by taxi drivers and craft vendors, saw the decision collapse, as first Barbados, then others withdrew. Several subsequent attempts at a common policy were also derailed, so that today head taxes vary from US$1 in the Dominican Republic to US$60 in Bermuda, with a Caribbean average of US$8.92 per passenger. However, judging from the enthusiastic audience response to a commentary made at the recently held United Nations World Tourism Organisation (UNWTO) conference in Montego Bay, the issue is far from dead. There Martha Honey, the Executive Director of the Washington-based Center for Responsible Travel (CREST) made a well-received presentation on the lessons learned from fifty years of cruise tourism in the Caribbean. In remarks, based on a new CREST study, Dr Honey made clear that there are many ways in which governments, tourist boards, citizens and the industry more generally, needed to change the nature of the discourse. She pointed out that because land-based stayover tourism is far more valuable than cruise tourism, governments would be wise to invest in strengthening sustainable long-stay tourism, and giving greater consideration at both a national and regional level to expanding the economic and social benefits derived from cruising. Improved outcomes, she suggested, could be achieved in several ways. By incentivising home porting, host countries could generate greater revenue because ships purchase more provisions locally, and passengers flying in and out and spend more in hotels, restaurants and elsewhere. As is the case in Bermuda, cruise ships might also be required to stay longer by calling at more than one location on an island. She also proposed negotiated increases in head taxes in return for an enhanced visitor experience; negotiating down the commissions paid to the cruise companies for onshore tours and shopping; encouraging the greater recruitment of Caribbean workers in onboard guest-facing roles; and the promotion of goods by local artisans, rather than the selling of imported duty-free items which generate little for the local economy. Other options which she advocated included an end to government funds being invested in cruise industry infrastructure and setting policies and taxes through collective regional negotiations between the cruise lines and Caribbean governments, including Cuba. Her views, which for some, not least the cruise lines, are controversial, warrant reading in depth. In early February CREST will publish an e-book in Spanish in Cuba and shortly afterwards in English: details of which will appear shortly on the CREST website www.responsibletourism.org. Although some of what she proposed may be all but impossible to deliver in a region in which national self-interest regularly outweighs pan-Caribbean logic, it is very much in line with popular thinking about the nature of the cruise industry. Irrespective, many of her views are shared in private by ministers, some of whom have come to resent the way that the cruise lines behave. They are concerned at the cruise companies growing interest in private islands and enclaves of the kind that now exist in the Bahamas, Haiti, and the Dominican Republic; the increasing emphasis on ever-larger cruise ships marketed as destinations in their own right; and the absence of any commitment on the part of the companies to long-term on-shore economic sustainability. Some too, have begun to look nervously at the growing civic protests in European cities like Venice and Barcelona which are overwhelmed with cruise tourism, and simmering anti-cruise controversies in iconic US destinations, such as Charleston, Maine and Key West. Although for the average, less than adventurous visitor, cruising will continue to provide an attractive ‘safe’ experience, Dr Honey believes that governments in the Caribbean, and elsewhere, would be wise to focus on high value rather than high volume tourism. “Rather than seeking to attract large numbers of cruise visitors, countries should concentrate on attracting land-based ‘experiential’ travellers who stay longer, spend more, tend to patronise local businesses, visit widely, and seek to learn and have genuine interactions with local people,” she says. She considers that what is now happening in Venice and Barcelona should be viewed as “the canaries in the coal mine for what poorly controlled cruise tourism could mean for ports in the Caribbean.” It is a view I have come to share. Otras conversaciones se centraron en la expansión de las operaciones de cruceros en Cuba, los planes del país para desarrollar la infraestructura y las instalaciones portuarias en la isla, los nuevos requisitos administrativos del gobierno de EE. UU. Para las visitas a tierra y el interés cubano en la posibilidad de realizar porteos.El encuentro fue una respuesta pragmática a las incertidumbres legales creadas para el viajero estadounidense promedio a Cuba, quien tal vez comprensiblemente, ahora puede preferir permanecer en un entorno estadounidense a bordo de un barco mientras realiza visitas permitidas en tierra. También reflejó el hecho de que Cuba, la isla más grande de la región, se encuentra estratégicamente ubicada en el puerto de cruceros del Caribe, está cerca de los EE. UU. Y, según al menos un CEO de la línea de cruceros, se ha convertido en el destino más apreciado del Caribe.Como tal, la reunión fue indicativa de la capacidad única de las líneas de cruceros de adaptarse rápidamente a las cambiantes condiciones políticas, económicas, comerciales y ambientales de formas que no están abiertas al turismo basado en tierra.De cualquier manera, cruzar el Caribe se ha convertido en un gran negocio. Las cifras sugieren que el Caribe es el principal destino de cruceros del mundo, y representa el 35.5 por ciento de todas las vacaciones en cruceros.Según la Organización de Turismo del Caribe (CTO), en 2015 el Caribe recibió 28,7 millones de turistas de escala y 24,4 millones de pasajeros de cruceros que generaron un gasto total de visitantes en tierra de unos US $ 30 mil millones. De esta cantidad, alrededor de US $ 2.400mn provinieron de pasajeros de cruceros, mientras que US $ 27.600 millones -11,5 veces más- fueron gastados por visitantes que se quedaron. Dicho de otra manera, aunque los números de llegada de los cruceristas y visitantes que permanecen en el lugar son más o menos iguales, la brecha entre lo que los países del Caribe obtienen de los cruceros y las visitas de estadía sigue siendo considerable.A pesar de esto, tal preocupación se ha eliminado en gran parte del debate público.La razón de esto es parcialmente histórica. En 1993, el fallecido Michael Manley, después de haber renunciado a su cargo, aconsejó a los gobiernos del Caribe que establecieran un "impuesto principal" único para toda la región para todos los pasajeros de cruceros que llegaran. Aunque se llegó a un acuerdo, el cabildeo de la línea de cruceros, respaldado vocalmente por taxistas y vendedores de artesanías, vio colapsar la decisión, como primero Barbados, y luego otros se retiraron. Varios intentos posteriores de una política común también se descarrilaron, por lo que hoy los impuestos principales varían de US $ 1 en la República Dominicana a US $ 60 en las Bermudas, con un promedio del Caribe de US $ 8.92 por pasajero.